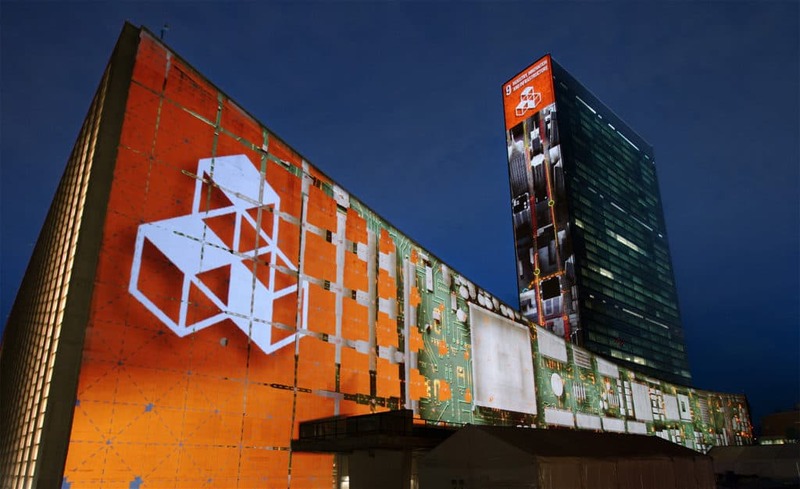 Working with the United Nations and Richard Curtis and his team at Project Everyone, 59 designed and produced a projected artwork to celebrate the launch of the new Global Goals for Sustainable Development. 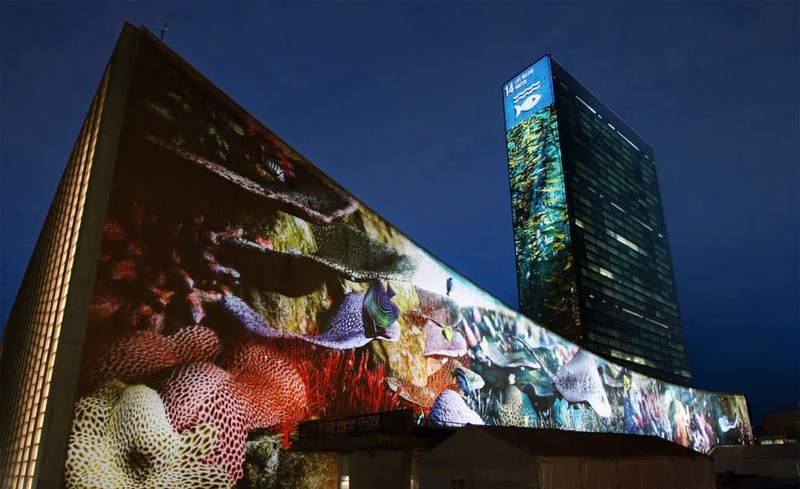 The ten minute piece – projected on two vast surfaces at the United Nations headquarters in New York at the opening of the General Assembly of world leaders – combined rapid-fire 2d and 3d animation with filmed actors, and introduced each of the 17 ‘Global Goals’ before celebrating the moment of their launch around the globe with a spectacular 3 minute finale. Developed over the course of almost a year, 59 worked closely with Academy Award nominee Richard Curtis to create a piece which is part campaign film, part educational resource and part celebration, presenting the Global Goals in an accessible and visually exciting way. The projection piece was also filmed and broadcast around the world on MSNBC and BBC Worldwide. 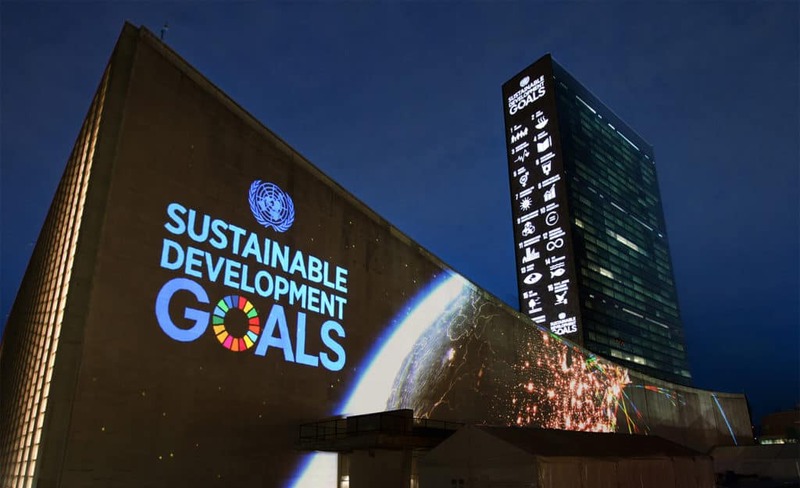 Huge in scale and focussed on the UN’s directives for sustainable, ethical change, it marked a powerful way to open a project with a global scope.